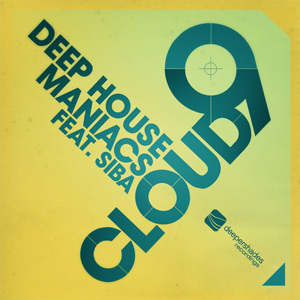 "Deeper Shades Recordings bless us with an amazing slice of fresh soulful house by the Deep House Maniacs titled "Cloud 9", an utterly soulful production oozing with the inimitable South African sound we admire so much written and produced by Kagiso Kaygee Pitsong and Jackson Motlogelwa and featuring heartfelt vocals by Nhlanhla Sibanyoni. The hypnotizing dub deepens the vibe, while Tony Loreto & Toro Trisorio takes us deeper into African territory on their celestial interpretation." Boddhi Satva "Diggin the Tony Loreto Vocal Mix man. Superbly done"
Rafael Moraes (Nomumbah) "Tony Loreto's Vocal Mix is the track for me, really nice feeling, for the dancers!!!" Matt Masters (Freerange) "Track 1 is doing it for me on here." TDeep (Metro FM, SA) "Loving the original mix"
Distant People "this is a blissful release, Tony Loreto really keeps it jumping, fresh bright summer sound, full support from me!" Just Mo (yFM, SA) "Great release by Kaygee featuring Siba, This up and coming producer is going to make waves internationally very soon. 10/10 I like the Tony Loreto mix more, nice one." Strat3gy (House Afrika, SA) "Definitely on my next House Afrika Super Rocking playlist!" Nick Holder "Im diggin this!" Sean Smith (Smooth Agent) "Feeling Tony Loreto's mix!" Souldynamic "Really fresh soulful vibes in a typical SA style! Love the original Mix and Tony Loreto Mix! Full support!" Groove Assassin "Serious bizznizz ! great package of mixes to boot !!" DJ Tipz "nice release will give it a spin this week on radio. Original works best for me"
Vinny Da Vinci "DOPE!!! DEEP & SOULFUL IN A SMOOTH KINDA WAY.... WILL SUPPORT FOR SURE!!!" Mad Mats (Local Talk) "Lovin Tony Loreto's mix...deep, melodic and bumpy! Solid…:)"
Manoo "Dope sounds, DSOH never disappoint!" Rocco "Nice remix by Tony Loreto , soulfull mix well done!" Harri (SubClub) "Tony Loreto instrumental for me : )"
Sarah Favouritizm "Really nice, love Tony's mix, will support! thanks"
Euphonik "Tony Loreto's Vocal for me"
Minus 8 "nice! great stuff!" Dino Michael (Godfather's House, SA) "Love both Instrumentals! Rocking and beautiful! Cant wait to play them.. Full support on my shows and in the clubs!" Mark Stone (UDM Show) "dope production!" Infinite Boys "Super track and great vocals from Siba.....another banger from South Africa"
Further In Fusion Radio "really feelin' the dub mix !!!" Marques Wyatt "Really digging this, Tony Loreto mix is hot"
Sting International "Loreto mix all the way!" Josh Milan (Blaze) "I liked the production of Tony Loreto's version. Very nice." Kai Alce "Lovin the Loreto mixes!! Full Support"
Mbuso "I'm digging the Dub and the Tony loreto mixes, a definite winner"
Jask "nice one…I like all mixes"
Irfan Rainy "Tony Loretoooooo mix all the way. Class and depth in his mix for sure!"